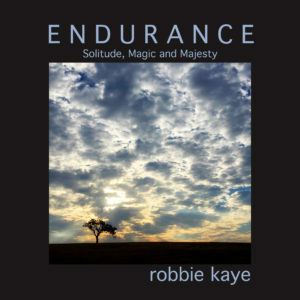 On Sunday, June 24th Robbie Kaye was at the Wildling Museum to present her second monograph, Endurance, that features photographs of 3 trees taken over the course of 3 years in the Santa Ynez Valley. Combined with prose, this book tells the story of Solitude, Magic, and Majesty, names that Robbie has attributed to these trees. They have endured fire, floods, and drought and remain strong in stature, not unlike the human experience. The foreword is written by Deborah Lee Davis who is an author, artist, healer and longtime resident of the Santa Ynez Valley. Robbie Kaye is a journalist. She creates and tells stories from her life through photography, painting and music. She studied music at Berklee College of Music in Boston and photography at USC. She’s written songs for Warner Bros. and Disney and has exhibited her photographs and paintings internationally. Robbie is originally from New York and now resides in the Santa Ynez Valley, where she continues to document her environment. She is also the producer of “Ladies of the Valley,” an online forum and documentary in the making that highlights the women of the Santa Ynez Valley and their inspiration. Robbie Kaye is the author of “Beauty and Wisdom," her first monograph depicting strength and determination of older women in an overlooked generation in American culture.